← New “Robocop” Lead Confirmed. 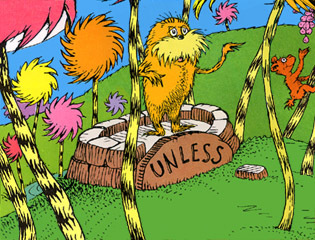 Critical brickbats didn’t keep Dr. Seuss’ “The Lorax” from ruling the box office over the weekend. The anti-corporatism parable took in a quite capitalist $70.7 million, propelling a 34.4 percent improvement in receipts over the weekend previous. And “The Artist” got its Oscars bump, finishing the weekend in 10th place, after languishing in 15th the weekend before. The New York Times has finally figured out that there’s a big-screen adaptation of Edgar Rice Burroughs’ “John Carter” tales in the works and it hits movie theaters this week. The paper takes a look at the hero’s pulp legacy and a possible resurgence in the print titles. This entry was posted in action, Books On Film, Box Office Tallies, Fantasy, Film News and tagged Box Office tallies, John Carter, The Artist, The Lorax. Bookmark the permalink.